We swore to stay away from Chinese food while we were down in the Bay Area since the stuff we get at home in Vancouver is pretty much the gold standard in North American (in our opinion). 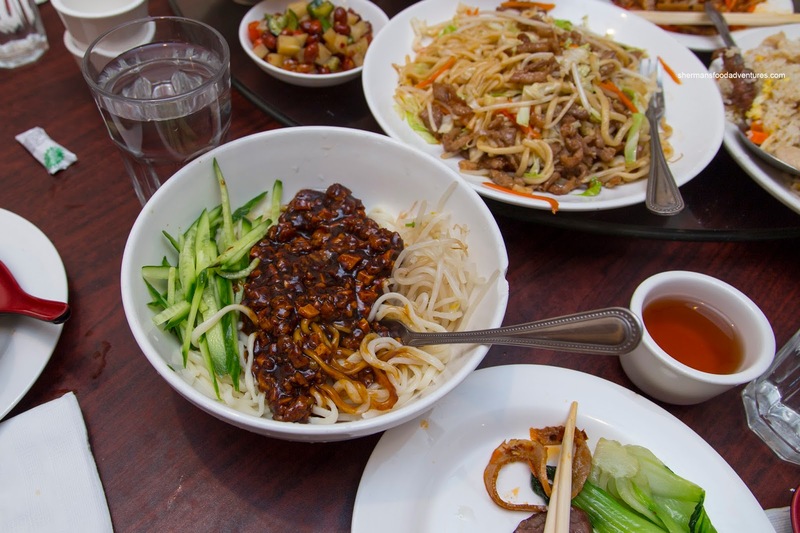 However, it is difficult to stay away as we crave comfort food and often get tired from eating non-Asian cuisine. 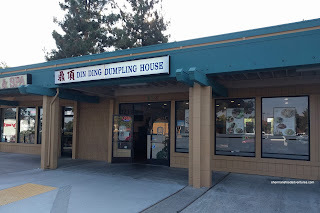 So when we had to take out my cousin for dinner since she hosted us for 3 days, we chose a Shanghainese joint out in Fremont. Besides, I think we used up all of their toilet paper and bottled water... LOL. The whole gang ended up at dinner including her sister with husband and kids as well as their parents. For that reason, we ordered a lot of food! Some smaller appies hit the table first including the sliced Beef Shank and the Marinated Cucumbers. They warned us that these were small dishes, but for us, they were big enough and well-priced for the portion-size. 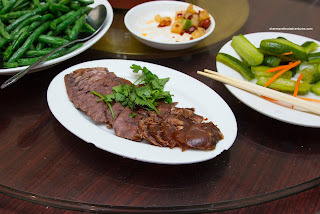 Firm and pleasantly chewy, the beef shank was still tender and had a nice rebound. It was on the drier side, but it wasn't a deal-breaker. There was enough flavor in the form of soy, star anise and sweetness. They didn't look like much, but the cucumbers were money. Crunchy and bright, they were lightly sweet and mildly salty. They were so good, the kiddies ate them as well. Not my son, but the younger kids at the table. For me, I had to get the Spicy Tripe and it was a good decision. Sliced thin, but still exhibiting an appealing chewy rebound, the tripe was nicely gelatinized. 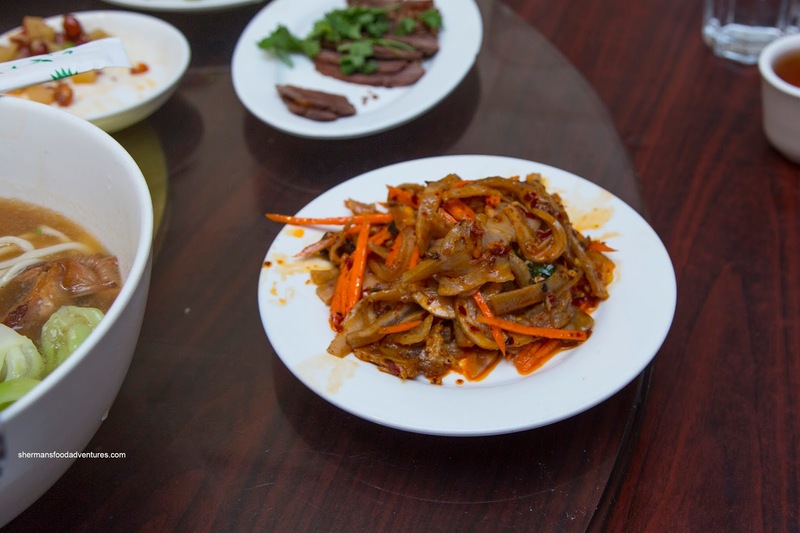 It was tossed in enough chili oil for some spiciness without being overwhelming. There was an equal amount of sweetness and saltiness as well. 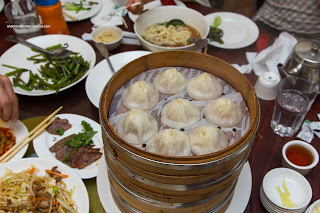 We ended up with 5 steamers of the Xiao Long Bao since all of the kiddies love dumplings. These were generally good with a thin dumpling skin and loads of soup on the inside. I found there was a lack of elasticity though as the skin would break too easily. The pork filling was a bit gritty, but still moist and tender. 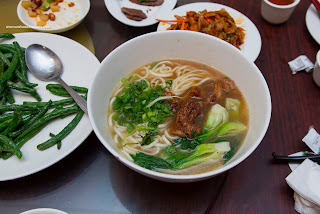 As for the soup, it was sweet with lots of meat flavor. 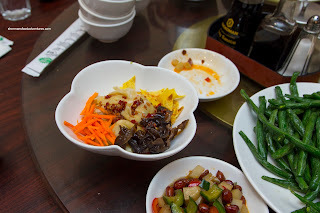 To get our veggies for the meal and really for our trip as we had been clearly eating too much meat and fried food... So we got the Stir-Fried String Beans, Stir-Fried Ong Choy and Stir-Fried Shanghai Bak Choy. 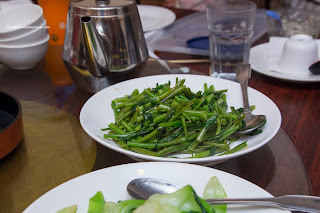 My favourite of the bunch was the string beans since they were oil-blanched just enough that they were cooked, but still remained crunchy. They were also lightly seasoned which was a good thing. The ong choy was crunchy and also lightly salted where the natural flavors were preserved as well as the garlic coming though. 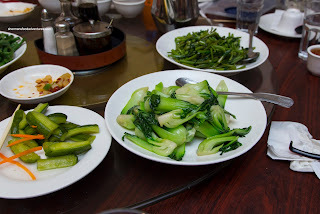 As expected, the Shanghai bak choy was more watery due since it lets out moisture when stir-fried. They were still crunchy though. 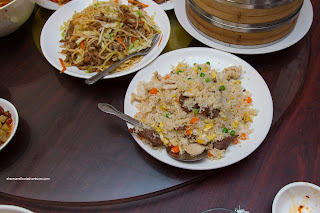 Onto some carbs, we had the House Special Fried Rice and the Chicken Stir-Fried Noodles. 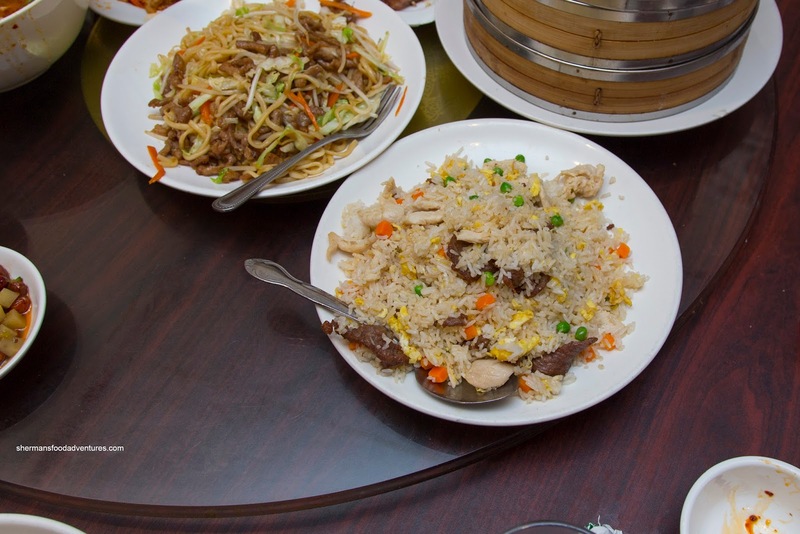 The fried rice was a mix of beef, chicken, shrimp and frozen veggies. I found that it was dry and nutty which meant the rice wasn't too wet to begin with and the wok heat was sufficient for caramelization. The shrimp was cold-water crunchy, but the beef was beyond chewy. I couldn't break it down and had to spit it out. As for the fried noodles, they were pretty good being slippery and al dente while not overly greasy. There was enough wok heat to keep the moisture to a minimum where the dish ate well with tender juilienned pork and crunchy cabbage. 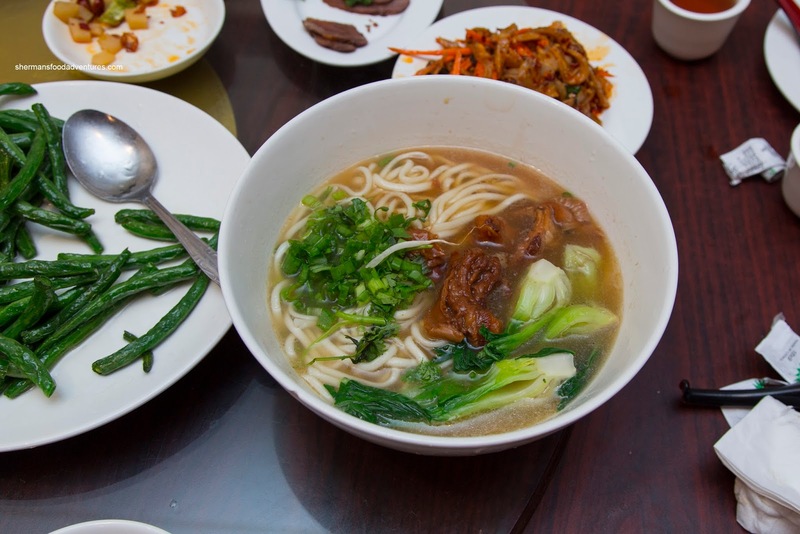 For the kiddies, we got a few orders of the Beef Soup Noodles and they were pretty much forgettable. Let's start with the one positive, the noodles. Much like the stir-fried noodles, these were chewy and al dente. However, the soup was rather bland and it didn't taste like there was any depth to it (ie. meat flavor). Furthermore, the beef was very dry and chewy. It was lean to begin with and the way they prepared it didn't help matters much. 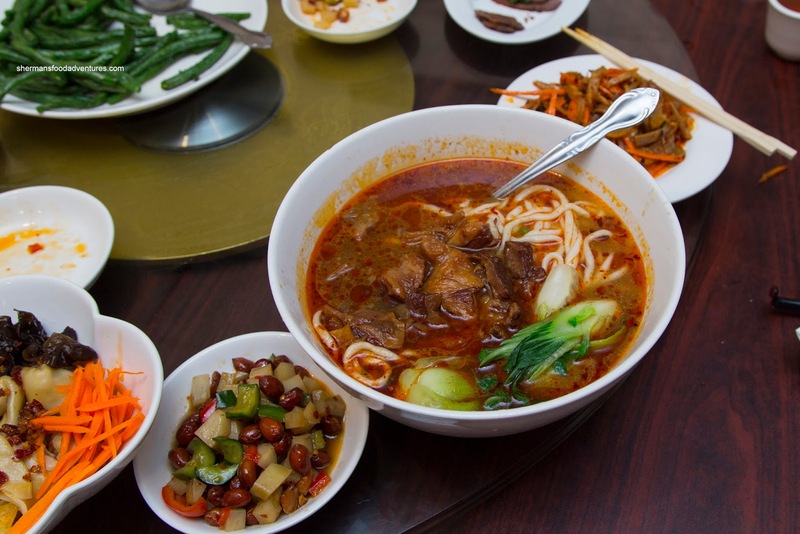 On the other hand, the Spicy Beef Soup Noodles was remarkably better. First of all, the soup was impactfully spicy despite lacking body. The noodles were just as good as the previous bowl and the beef tendons were the right texture. 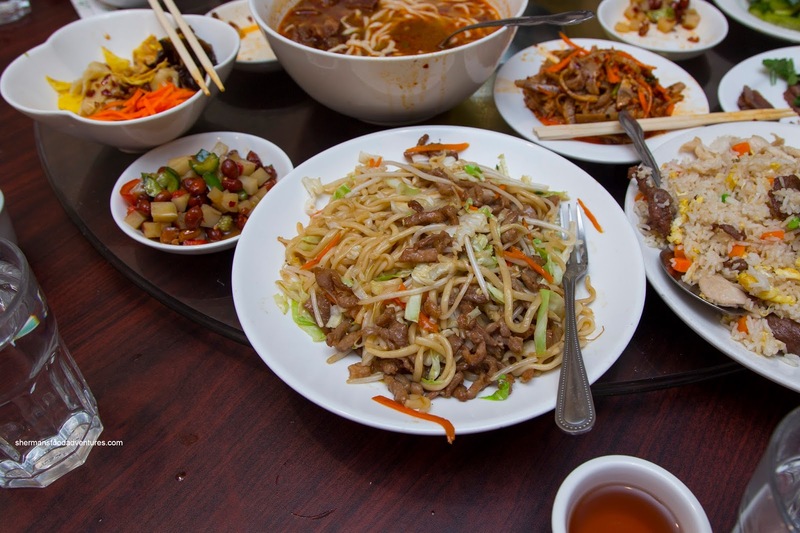 For me, I really wanted to try the Ja Jeun Mein (Noodles with Meat Sauce) and they were respectable. Consisting of the on point noodles as well, the sauce on top was flavorful and rich. There was enough of it to coat the noodles and provide enough seasoning. It was savory with some some sweetness. The cucumbers were fresh and provided a nice crunch. The only thing I could fault the dish was that the sauce was a touch greasy. One item I could've done without was the Spicy Wontons. I thought the filling was terrible being mushy and bland. The sauce itself had a good vinegariness, but it wasn't balanced. There was no spice and not enough soy to counteract the tartness. Overall, I would echo my aunt's assessment of the place, "acceptably average". Does the job, but not particularly memorable.